Stefan Schilli studied at the Music Academies in Trossingen and Karlsruhe before becoming principal oboist in the Symphonieorchester des Bayerischen Rundfunks – when he had just turned 20. In 1996 he won the international “Prague Spring” competition as well as the ARD Competition after already having been honored in 1993 by the “German Music Competition”. Likewise, in 1996, he was also the recipient of the “Busch Brothers” prize, which has been awarded to exceptionally talented musicians since 1970. Stefan Schilli ranks among the leading oboists of his generation and appears on all the major concert stages of the world. He made his debut at the Berlin Philharmonie with the Oboe Concerto by Richard Strauss, accompanied by the German Symphony Orchestra of Berlin. He has performed as a soloist with such eminent conductors as Lorin Maazel, Mariss Jansons, Sir Colin Davis, Reinhard Goebel, Christopher Hogwood, Franz Welser-Möst and Dennis Russell-Davies. Guest appearances regularly take him to South-East Asia, the United States, Russia and renowned festivals such as the Edinburgh Festival, the Bath Festival and the Festival Pablo Casals in southern France. Besides his professorship at the Mozarteum University in Salzburg, which he has held since 2004, Stefan Schilli is also a regular guest instructor at such prominent institutes as the Escuela Reina Sofia in Madrid, the Sibelius Academy in Helsinki and McGill University in Montréal. A number of CD and television recordings document his wide-ranging activity. These include the oboe concertos by Strauss, Martin and Bernd Alois Zimmermann with the Symphonieorchester des Bayerischen Rundfunks under the direction of Mariss Jansons released by Oehms Classics. 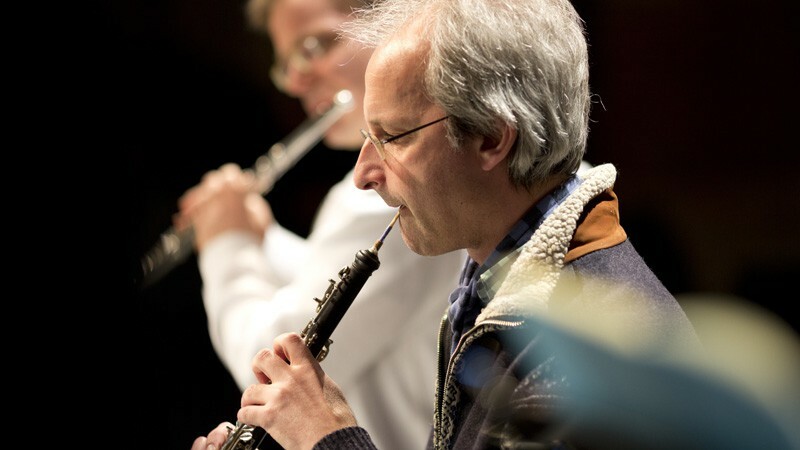 For several years Stefan Schilli has also dedicated his talents to performance on period oboe instruments and is a founding member of the baroque ensemble “L’accademia giocosa”, which released a CD with works by Georg Philipp Telemann in 2012. In this series of videos about our chamber music concerts, musicians grant insight into chamber music subtitles and answer spontaneously without knowing the questions beforehand.